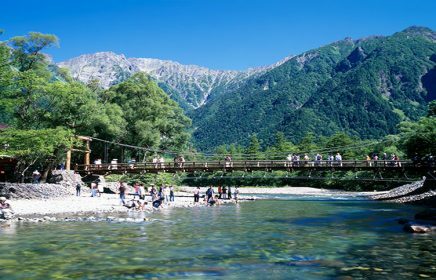 Kappa Bridge is a suspension bridge over the Azusa River in the center of Kamikochi, not far from the bus terminal. Several hotels, restaurants, and souvenir shops can be found around the bridge. 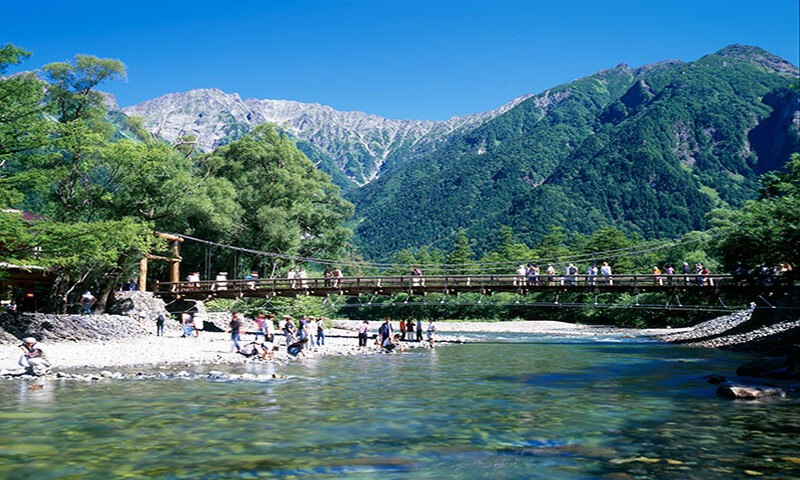 The structure of the bridge is wooden and it has become a distinctive symbol of Kamikochi. 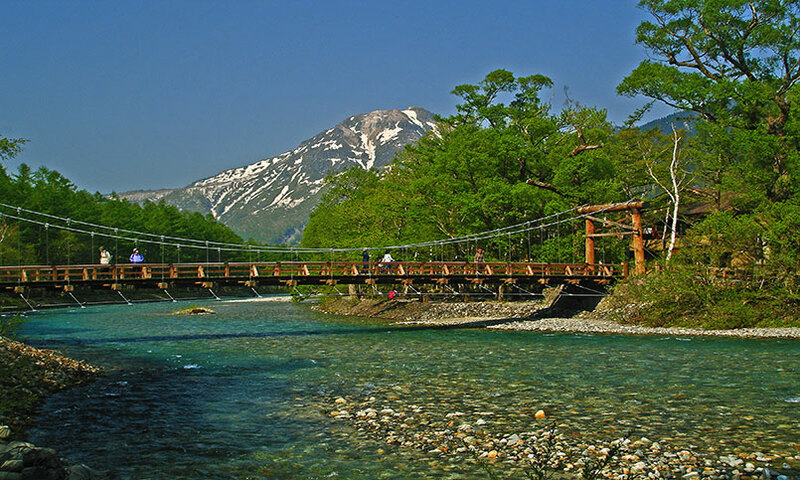 It inspired the 1927 novel, “Kappa,” by Ryunosuke Akutagawa, in which the narrator and protagonist journeys to Kamikochi only to stray into the mysterious land of the kappa, a quirky race of water spirits from Japanese folklore. 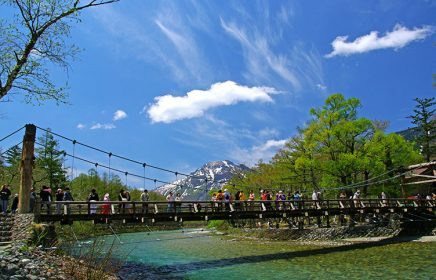 Kappa Bridge is especially popular as a photo spot with a terrific view of the Hotaka Peaks and Mt. Myojindake that can been seen when facing upriver. Looking downriver, one has a good view of Mt. 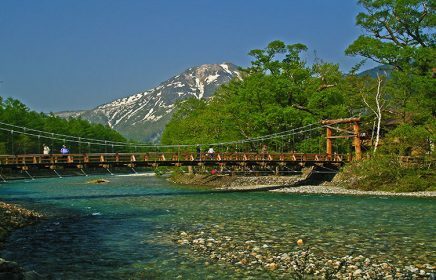 Yakedake, the iconic peak at the entryway to Kamikochi whose smoking crater reminds us that it is a very active volcano. 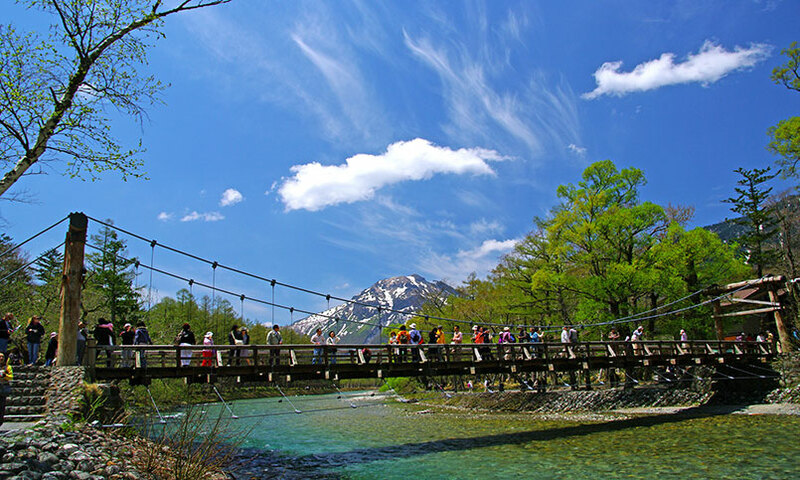 The area around the bridge is home to Kesho Yanagi (a local species of willow) and Japanese larch trees. Check out some beautiful photos of Kappa Bridge (Kappabashi) on Instagram.